The number of model and demonstration forest initiatives designed to demonstrate sustainable forest management in practice and to promote the implementation of national forest programmes in the field, has increased over the past few years. Model forests were conceived as a means for developing, testing and demonstrating innovative approaches to forest management, including the use of local-level indicators to monitor progress. Model forests promote sustainable forest management at the field level, help translate national forest programmes into action and provide continuous feedback to governments for use at the policy level. The concept, initially developed in the early 1990s in Canada, is applicable to all types of forests, ownership patterns and management objectives. The management of a model forest is guided by a voluntary partnership of all individuals, organizations, interest groups and private companies who have a stake in the sustainable management of the forest. Scarce resources are pooled and emphasis is placed on continued learning and replication through networking with other sites. The concept of model forests, promotes the building of partnerships of stakeholders for the development, testing, implementation and demonstration of innovative, sustainable approaches to the management of forests for a range of benefits in accordance with UNCED¿s "Forest Principles¿. In general, model forests are relatively large in size (existing sites range from 60,000 ha to 2.7 million ha) and forestry is the main, but not necessarily the only, land use. Important activities in model forests include defining sustainable forest management (SFM) in locally relevant terms, developing and monitoring local level indicators to measure progress toward SFM, sharing information and experiences through demonstrations and networking, and establishing active feedback mechanisms between local and national or sub-national policy levels. Individual sites are linked through national networks and through The International Model Forest Network (IMFN), initiated in 1992. A decade later, a total of 32 model forests existed in 12 countries (Canada, the United States, Mexico, Chile, Argentina, the Russian Federation, Japan, China, Myanmar, Thailand, the Philippines and Indonesia) covering a total area of more than 14 million hectares. A number of additional countries are in the early stages of developing model forests (Vietnam, Sweden, Dominican Republic, Costa Rica, Ecuador, Peru, Cameroon). 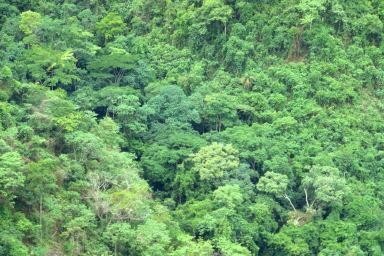 In addition, several international organizations such as the Center for International Forestry Research (CIFOR), the International Tropical Timber Organization (ITTO) and the Tropical Agriculture Research and Higher Education Center (CATIE) support the development of similar types of model and demonstration forests. Two demonstration forest initiatives with aims similar to those of model forests, have been launched in Latin America: the Demonstration Forest Management Areas in Central America supported by the Tropical Agriculture Research and Higher Education Center (CATIE); and the Network of Demonstration Watersheds in Mountain Areas of Latin America established in 2000 by the FAO-supported Latin American Network of Technical Cooperation in Watershed Management. The objectives of the latter are to promote participation in integrated natural resource management of mountain watersheds through demonstration and dissemination of information, and to strengthen institutions involved in such work. Other initiatives include ITTO demonstration areas and its Model Forest Management Area in Sarawak, the ITTO/CIFOR/Indonesia model forest in Bulungan, Indonesia, and China's network of eight experimental and demonstration areas covering the main eco-zones of the country. The Asia-Pacific Forestry Commission¿s ad hoc Working Group on Sustainable Forest Management is currently drawing up a list of forests under sustainable forest management in the region which could potentially serve as demonstration sites. identification of potential future model and demonstration forests.